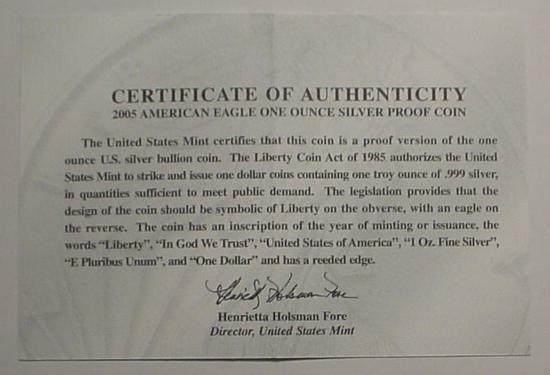 The 2005 proof silver eagle includes the original mint packaging, velvet presentation case and Certificate of Authenticity. 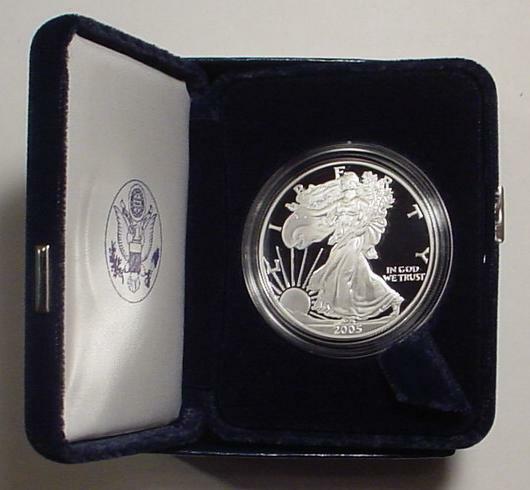 Proof coins are specially minted for collectors and are made from highly polished planchets (coin blanks) and dies. These coins receive the highest quality strike possible and can be distinguished from regular uncirculated coins by their sharpness of detail, deeply frosted cameo image, and brilliant mirrored background.